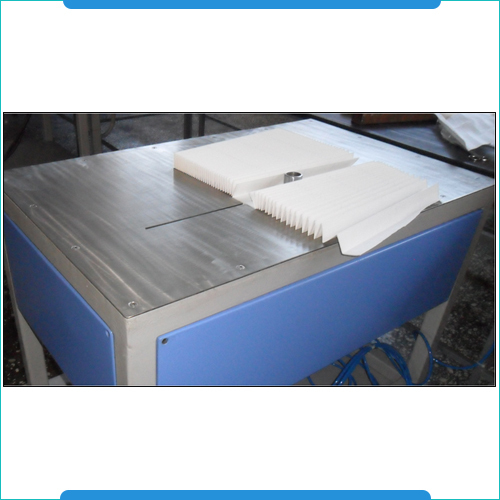 The Rotary Pleating Machines are fabricated using quality tested components with maximum roller widths of 1000mm, variable pleat depths of 25-48mm, DC geared drive units and filter paper roll mounting stands. These machines features including adjustable height of gathering tables, change in pleat depth by change of gear, digital pleat counter with marking device, digital temperature indicator & controller for heating applications, mild steel fabricated structure for durable performance and presence of control panel for smooth and accurate handling of above operations. 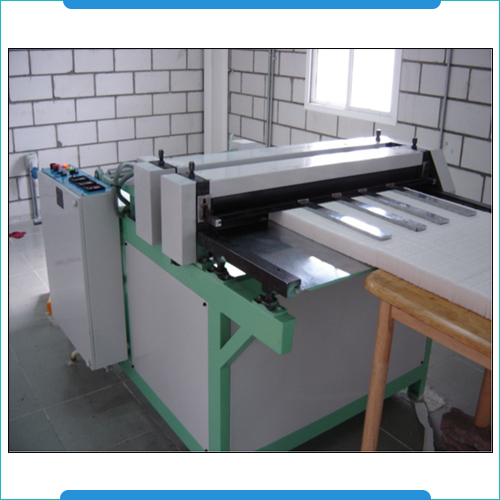 The Edge Cutting Machines are available with maximum cutting width of 1000mm, minimum and maximum cutting depths of 20mm and 60mm, hardened and ground slitting blades, guide for movement of cutters, pneumatic operations, foot pedal operations as well as handle wheel options for meeting the different height adjustments. 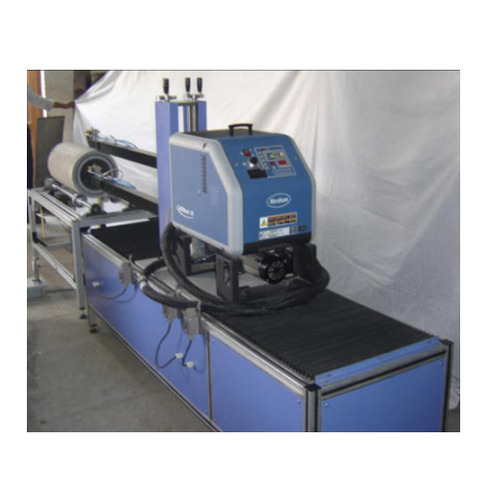 These machines features including adjustable height of gathering tables, change in pleat depth by change of gear, digital pleat counter with marking device, digital temperature indicator controller for heating applications, mild steel fabricated structure for durable performance and presence of control panel for smooth and accurate handling of above operations.